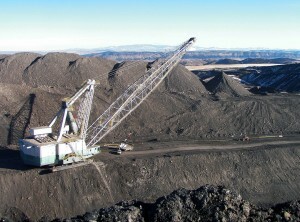 That three-year review Sally Jewell and the Interior Department are conducting to determine if the feds should ban coal mining on federal land or just price the industry out of business is not expected to affect the Colowyo lease reviews that are supposed to be announced this week. However, the moratorium will block the development of coal reserves adjacent to Trapper’s property that was under consideration, until the study is completed, reports Steamboat Today. “As if they hadn’t done enough to kill the coal industry already, now they’re driving one more nail into what they hope to be our coffin,” Moffat County Commissioner John Kinkaid said. Moffat County Commissioner Frank Moe said he worries about people across the country in communities reliant on the energy sector. “It’s unbelievable that our own government can be doing this to people with no care or concern,” he said. Jewell told reporters during a conference call last week that she will allow for “common sense exemptions” during the moratorium. No, not to mine, but to limit activities to protect endangered critters. Don’t be fooled. The government’s actions aren’t about increasing royalty rates – Colorado paid $37 million in 2014. Because under the moratorium, the government won’t be getting any new fees. This whole scam is about blaming coal for global warming and shutting down an entire industry. The fact that its’ coming during a presidential election year is also not much of a coincidence. Democrats hope to solidify their base with this issue, and Republicans would be wise to do the same with their voters. I think you mean Federally owned minerals on Federal land and royalty paid to the Federal government which goes to the Federal treasury. Some of which is paid back to the State which reduces the amount of tax based revenue on both the State and Federal level so the citizen pays less tax. It is the law. The last moritorium, designed to ensure the royalty payments accurately reflect and cover the costs of the activity, taking publicly owned minerals off public lands, so as not to burden American taxpayers with someone else's bill was in 1984, signed by Ronald Reagan.